There are a number of resources out there that attempt to explain how to get the network path of a mapped drive letter or path. However, I found most of them to be incomplete and/or full of errors. The type initializer for ‘System.Management.ManagementPath’ threw an exception. This might have been because I was working from a VM or maybe some other OS issue. The solution I found that always worked across multiple environments involved the use of PInvoke and a dll import. True, it would be better if this could be done reliably with the .NET framework without needing to drill down into the Windows API, but until I find a better solution (or someone points out a better way in the comments here), I’ll be documenting this for others who might need it and for future reference. This method accepts an absolute path (which could be on a mapped drive or on a local drive) and returns the equivalent UNC path (if exists). If the absolute path cannot be converted to a UNC path, the absolute path is returned unchanged. Remember to add a using statement for System.Runtime.InteropServices (contains the DllImportAttribute) and any other using statements the rest of your class may need. Once we have imported mpr.dll the real work is done by calling a Windows API function. This solution from Stackoverflow looks really interesting but sadly, didn’t work for me. I’m not sure yet why it’s failing on my environment and I intend to research on this later and possibly tweak the code to make it work. It does not involve using PInvoke. /// A static class to help with resolving a mapped drive path to a UNC network path. /// If a local drive path or a UNC network path are passed in, they will just be returned. /// // Example/Test paths, these will need to be adjusted to match your environment. /// Resolves the given path to a full UNC path if the path is a mapped drive. /// Otherwise, just returns the given path. // Is the path already in the UNC format? /// Resolves the given path to a root UNC path if the path is a mapped drive. /// Checks if the given path is a network drive. /// Given a path will extract just the drive letter with volume separator. If you want a pure framework based solution, you might want to try this method first and only use the PInvoke method as a last resort. Spread the word! Use these buttons to share this link on your favorite social media sites. Help me share this on . . . Enter your email and press "Go" to subscribe to my notifications. That way, you'll never miss my updates. Added! You'll hear from me shortly. Buy something from my shop. I sometimes get a commission. Contribute by adding a comment using the comments section below. Follow me on Twitter, LinkedIn, and Facebook. I am a Toronto-based Solutions Architect, Software Engineer, Cloud/DevOps Administrator, SharePoint Developer, Internet Entrepreneur, Electrical/Electronic Engineer, Independent Consultant, Consumer Products Geek, and Technology Blogger. Niches, I think, are highly overrated. I'd much rather be a polymath. If I can (or can try), why not?! I get satisfaction from solving problems programmatically and teaching people by example how to do tech stuff. When I can't find coding problems to challenge me, I get bored and create some. I have written some more about myself here. You can also find me on Twitter, LinkedIn, and Facebook. Yes, alert me when you publish new content. Enter your email to get new content sent to your inbox daily! The Rainbow Backlit Gaming Keyboard gives your gaming rig a colorful makeover and lets you play even in the dark. 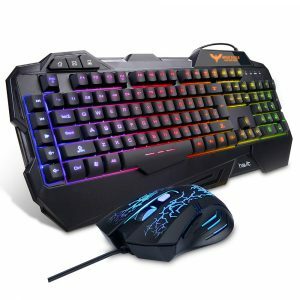 Combined with a wired gaming mouse, it features 7 circular and colorful breathing effects as well as 19 anti-ghosting keys. 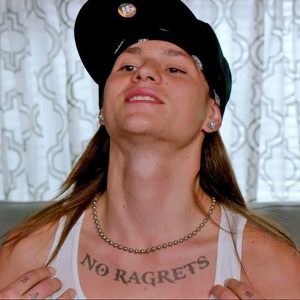 This No Ragrets Temporary Tattoo from the evergreen movie, We’re The Millers, is the perfect temporary tattoo. Get everyone’s attention with this hilarious tattoo fail: A massive regret on your chest that says “NO RAGRETS”. Phil Biundo on Hiding Or Spoofing Your Browser GeolocationEhi I love it this one. Thank you great article! This article explains round robin DNS, load balancers, and how you set up round robin settings on your DNS server to handle high traffic. Here are two methods to get XML document nodes, child nodes and so on. The first method uses DOM. The second method uses LINQ to XML. This article explains how to bypass the single user remote desktop connection restriction on Windows 10 by using the RDP wrapper library. Use this solution for uploading files to any REST endpoint using C#. It allows you to pass custom params that may be required by your API. How to get the network path or UNC path of a mapped drive path programmatically. A PInvoke method and a .NET method is discussed. With this WordPress Password Hash Generator, you can convert a password to its hash, and then set a new password directly in the database.